Honoured with six different Honorary Doctorates, in six different fields, from six different institutions, in six different countries from six different Continents of the world, Her Excellency Dr. Justina Mutale is named in the Powerlist of the Most Influential Black People in Britain. 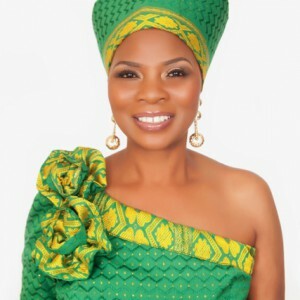 She has been globally acclaimed as one of the most influential and inspirational women of African origin and in 2012, Dr Mutale was awarded the prestigious title of ‘African Woman of the Year’ sharing a platform with various African Presidents and Heads of State. In 2014 and 2015, Dr Mutale was honoured among the greatest humanitarians of the world in the Global Officials of Dignity (G.O.D) Awards at a ceremony held at the United Nations Headquarters in New York, sharing a platform with Royalty, Heads of State; Diplomats and Dignitaries from different parts of the world. Dr. Mutale is Founder & President of the Justina Mutale Foundation, and its Justina Mutale Scholarship Programme for underprivileged young women from Africa to access higher education overseas. She is also Founder of POSITIVE RUNWAY: Global Catwalk to Stop the Spread of HIV/AIDS, an HIV/AIDS response campaign spanning six continents across the globe. She serves as Global Envoy for Gender Equality and Spokesperson of the International Women’s Think Tank and sits on the Board of the World Leaders Forum, Dubai.